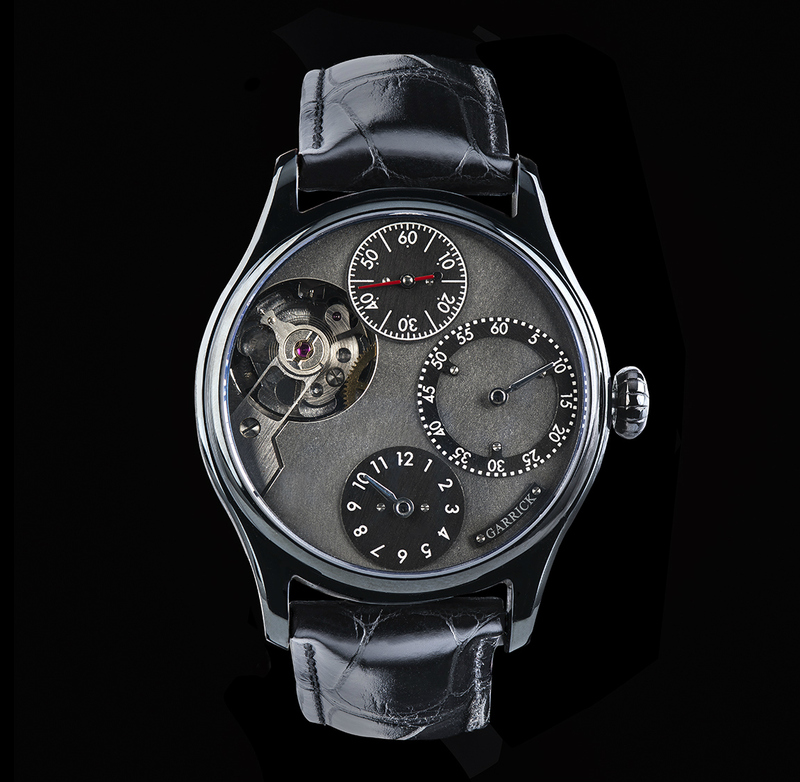 It’s been a long time coming but Garrick has finally unveiled its new and unique Regulator timepiece. Regulators have been used for generations as reference clocks for setting other clocks or watches. Typically on a regulator, the minute hand has enjoyed greatest prominence on the dial, with the hour hand often presented off-centre. Garrick has taken the concept of a regulator and created its very own, individual interpretation of this genre. Unlike ‘typical’ regulators, the Garrick Regulator features three indications: hours, minutes and seconds, each delivered off-centre, and displayed on separate unique subdials. The minutes display is presented on the largest of the three subdials at 3 o’ clock, using a chapter ring and a lancine-shaped, thermally blued or polished steel hand. The hours are shown at 6 o’clock, again with a matching lancine-shaped hand. Finally, a small seconds display resides at noon, employing a cheerful red hued hand. Part of the charm of the Garrick Regulator is the frosted dial canvas which stylishly contrasts with the black DLC-coated steel case, measuring 42mm in diameter. The hand-wound SM010 Calibre movement stands testament to the technical prowess of Garrick’s watchmaking team, with expert finishing much in evidence. A large aperture, adjacent the various dial indications, reveals Garrick’s own free-sprung balance, regulated to an impressive +3 seconds. This visually striking timepiece is available in a choice of finishes and, in keeping with Garrick’s ethos, many of the components are handcrafted in-house. 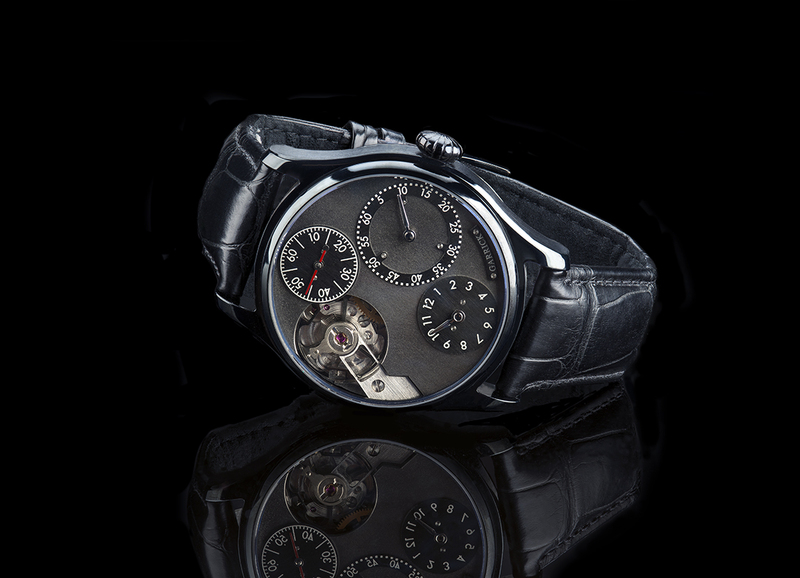 The Regulator was built by master watchmaker Craig Baird and is limited to only 15 pieces.